He says they had to “change the entire script” because of that, and though he doesn’t blame Marvel Studios head Kevin Feige, he does blame corporate Marvel. In fact, Black specifically says that Feige is “the guy who gets it right,” and that when he was having trouble wrangling Iron Man 3, Joss Whedon told him to “trust the machine” and to let Feige help him—all of which makes it sound like Black might be hoping he’ll get another shot at a Marvel Studios movie at some point. Going back to this villain issue, though, refusing to let the antagonist in Iron Man 3 be female because of toy sales seems bizarre on multiple levels. 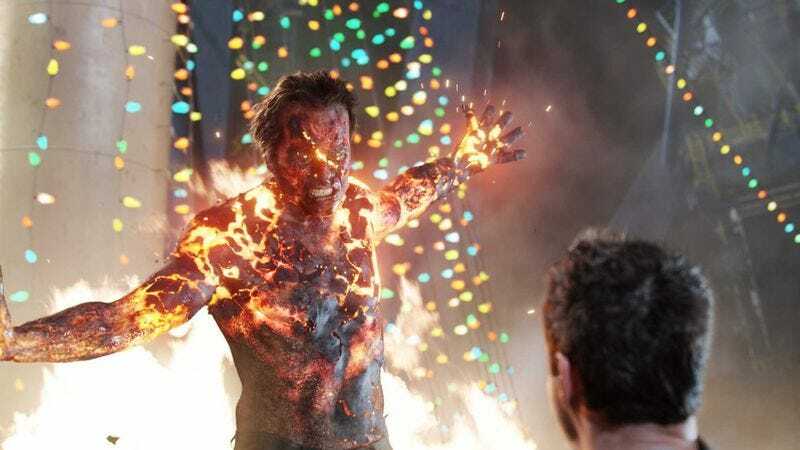 For one thing, it’s not like kids were rushing out to stores to pick up action figures of the bad guy who actually made it to the final cut—Guy Pearce’s Aldrich Killian—and most of the Lego sets and whatnot just used the Mandarin (the fake villain played by Ben Kingsley) anyway, so what difference would it have made? This whole thing seems to be evidence that there’s a very fragile balance at the heart of these blockbuster movies, with multiple people who each have their own interests pulling at them and trying to get what they want. Really, the fact that so many Marvel movies—Iron Man 3 included—end up being as enjoyable as they are is a little more surprising than it probably should be.